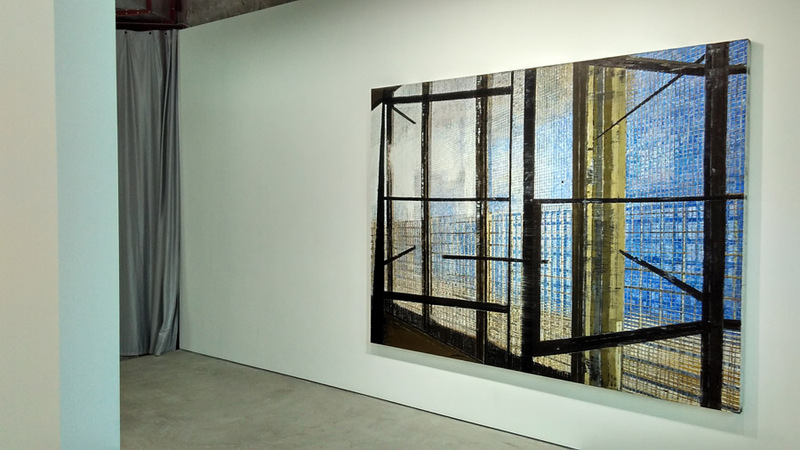 A painting group show at Edouard Maligne gallery on the West Bund: The show has a mix of styles, not too surprising, but the space was structured in an interesting way, and it overall felt pleasant. Everyone could find something she likes. 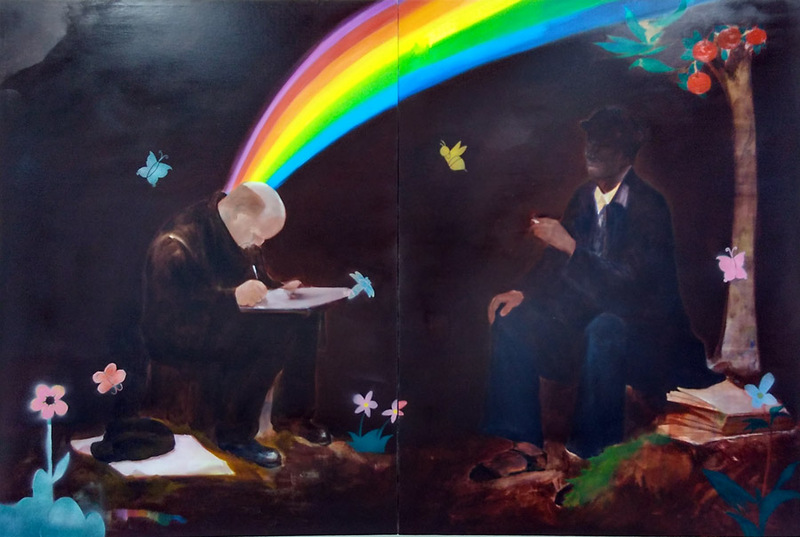 I had a laugh at the comrade (not pot of gold) at the end of the rainbow (Cui Xinming 崔新明) and an architecture-themed painting also attracted my attention for a while (Yuan Yuan 袁远).